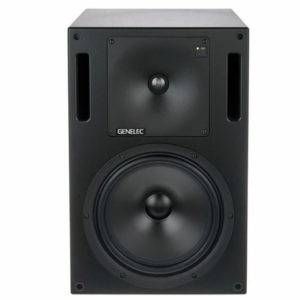 Styled in a producer finish by the manufacturer, the Genelec 1032C SAM Studio Monitor is designed for high-powered, near-field monitoring in pro-audio scenarios such as music studios, mobile vans, surround sound systems, multimedia installations, and TV broadcast facilities. 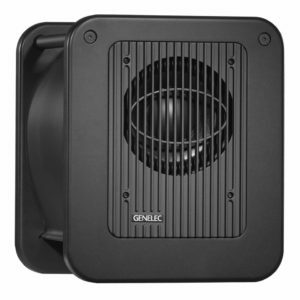 The speaker consists of a 10″ bass woofer, a 1″ metal dome tweeter, an active crossover, and a directivity control waveguide to balance the frequency spectrum. 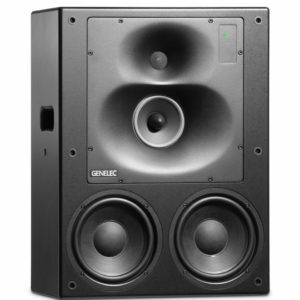 The Genelec 1237A Tri-Amplified SAM Monitor System comes from the company’s 35+ years of designing and building professional three-way monitors for recording studios, post-production houses, digital mastering facilities, radio, and TV broadcasting companies. 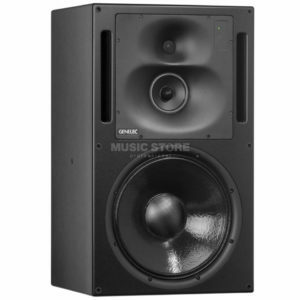 The monitor uses a 500-watt powered 12″ low frequency woofer, a 250-watt powered mid-frequency woofer that is handmade in Finland, and a 200-watt powered 1″ metal dome high frequency tweeter in a proprietary large Directivity Control Waveguide (DCW) to deliver a frequency response of 32 to 22,000 Hz (-6 dB). The waveguide helps maintain balanced on- and off-axis imaging for even the most acoustically challenging environments. 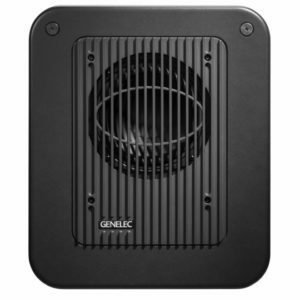 The 1238A Tri-Amplified SAM Monitor System with RAM-L Amplifier from Genelec is a 3-way monitoring system for medium-sized control rooms. 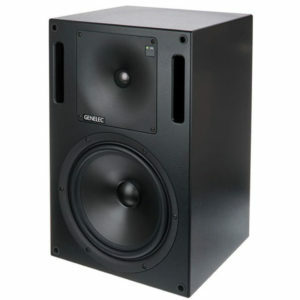 It can be used as a free standing monitor, or flush-mounted in control room walls. This unit is suitable for recording, film and video post-production, broadcast monitoring, and mastering. The Directivity Control Waveguide (DCW) technology is designed to provide stereo imaging and neutral frequency response in various acoustics. 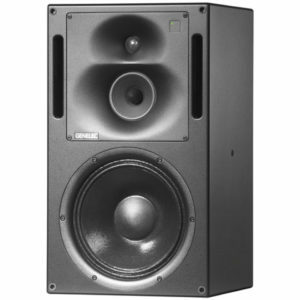 The 6.6′ program material listening distance and low distortion amplifiers allows for a 124 dB peak sound level. 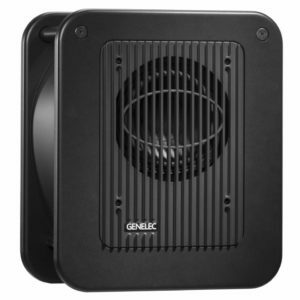 The 1238A monitor is fully compatible with the Genelec Loudspeaker Manager GLM and the proprietary Genelec control network (sold separately). 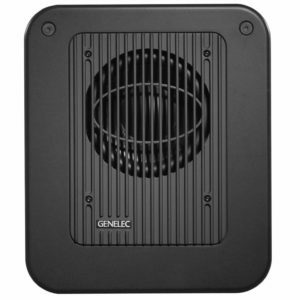 It can be used with 8200-series SAM monitors and 7200-series SAM subwoofers in the same network. 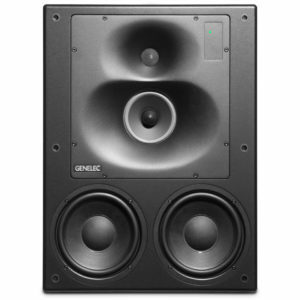 The Genelec 1238A Tri-Amplified SAM Monitor System comes from the company’s 35+ years of designing and building professional three-way monitors for recording studios, post-production houses, digital mastering facilities, radio, and TV broadcasting companies. 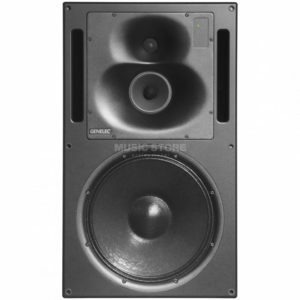 The monitor uses a 500-watt powered 15″ low frequency woofer, a 250-watt powered mid-frequency woofer that is handmade in Finland, and a 200-watt powered 1″ metal dome high frequency tweeter in a proprietary large Directivity Control Waveguide (DCW) to deliver an extended low frequency response of 30 to 22,000 Hz (-6 dB). The waveguide helps maintain balanced on- and off-axis imaging for even the most acoustically challenging environments. 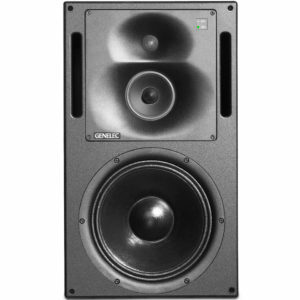 The 1238DF is based on the successful 1238CF electro-acoustic design, combined with Genelec state of the art AutoCal and Genelec Loudspeaker Manager (GLM) control network technologies. 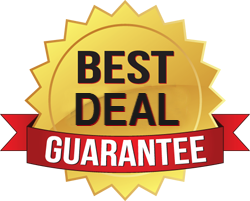 GLM allows to automatically align every monitor on the network in terms of level, timing, and equalisation of room response anomalies. 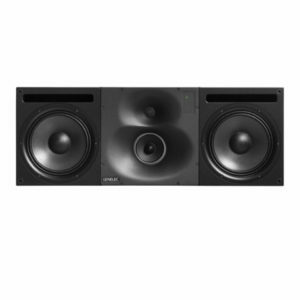 Typically flush mounted, the 1238DF includes a large Directivity Control Waveguide (DCW ) providing a wide, controlled listening area, minimizing early reflections for very accurate sound reproduction on- and off-axis. The Remote Amplifier Module RAM L feature the most modern electronic technologies for high performance monitoring. 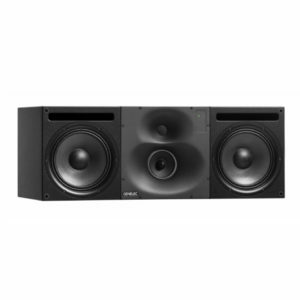 The 1238DF is perfect for music recording studios, film and video post-productions, broadcast facilities and mastering suites.